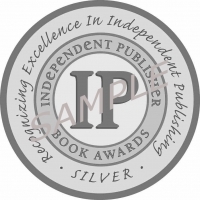 Low resolution IPPY Silver Medal image. High rsolution JPEG of IPPY Silver Medal image. The book publishing and marketing professionals of Jenkins Group, Inc. are focused on just one goal: to make your vision, our mission. We are America's premiere independent book publishing services firm and have achieved this status through a series of targeted and highly successful solutions. With integrity, responsiveness, and a detailed straightforward presentation, Jenkins Group provides the best menu of marketing and custom book publishing services for independent and small press book publishers available anywhere. We serve a local, national and international clientele and hope that your book project can soon become our next mission.